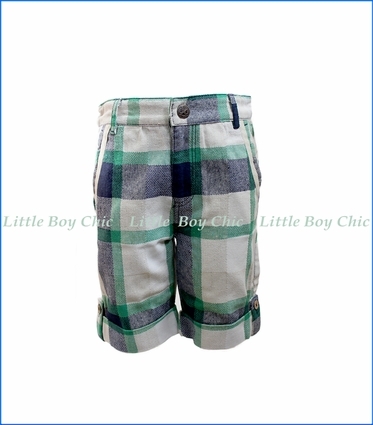 These plaid shorts by Fore Axel&Hudson are perfect for everyday wear or for a special occasion. Folded cuffs. Off white accent along front and back pockets. Zip fly with signature button end. 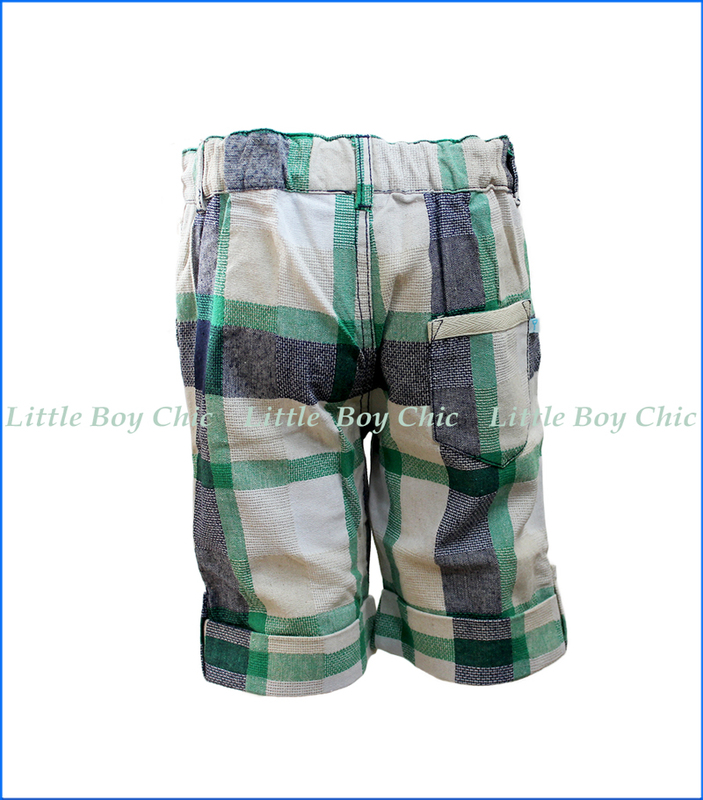 Adjustable waist and belt loops for a perfect fit around his waist. Woven label on back pocket seam.